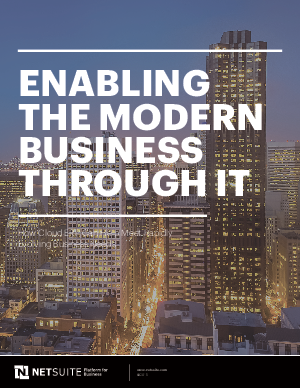 Download this white paper on how cloud ERP can help IT meet rapidly evolving business needs. The challenges facing IT and how to evolve your IT architecture to support the modern business. A new strategy for the enterprise involving ERP that increases the flexibility and agility required to add new business models, integrate acquisitions and support innovation. Answers to frequently asked questions when modernizing IT.